AstroPi Tripod Mount #3DThursday #3DPrinting « Adafruit Industries – Makers, hackers, artists, designers and engineers! This is a Camera Tripod mount adaptor for the 3D printed AstroPi Flight case from the Raspberry Pi Foundation (https://www.raspberrypi.org/learning/3d-printed-astro-pi-flight-case/). The mount attaches to the AstroPi through the corner bolts but, due to the extra thickness of the arms, you’ll need some slightly longer bolts (I’m using 35mm ones). 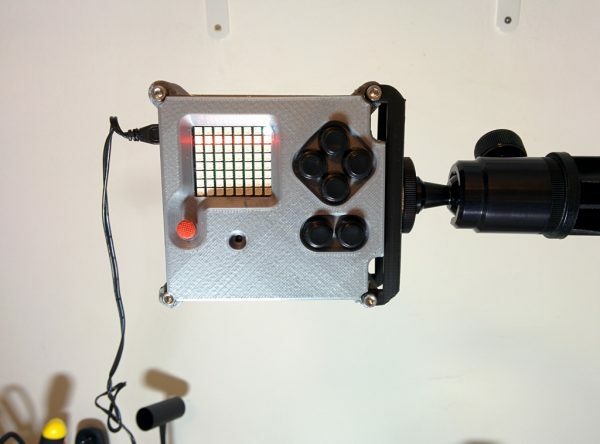 Once installed the AstroPi can be attached to any standard 1/4″ tripod mount.